First, let us evaluate the two on the basis of cost. 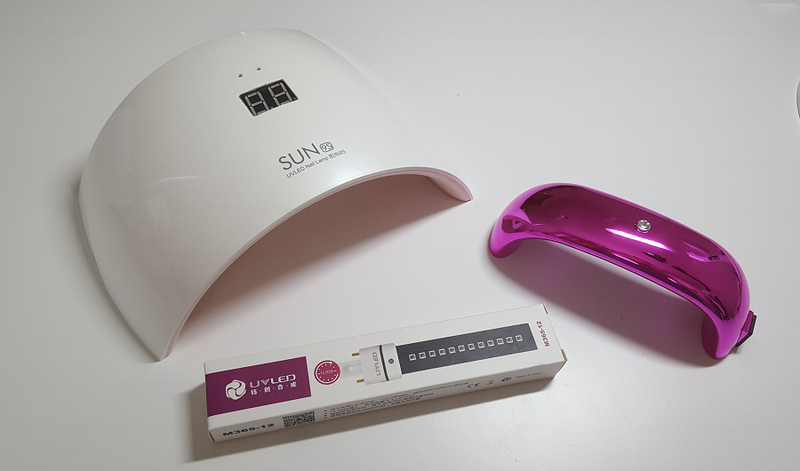 If you are looking for a budget-friendly alternative, UV nail lamp is the better option since it is generally the cheaper one. When it comes to speed, LED is typically quicker, which has a curing time of 30 seconds. This is as against UV nail lamps, which have an average curing time of two minutes. On the other hand, in terms of bulb light, there is no doubt that LED is the clear winner. It has the advantage of being longer-lasting, and hence, they will not quickly ask for a replacement. Lastly, and perhaps most importantly, you also have to consider the types of the nail polish that they will be able to cure. The UV nail lamp is the better option because it has the ability to cure all types of nail polishes. At the end of the day, it is difficult to say which one is better between the two. There are individual factors that will come to play and it will be up to you to choose which one is more suitable for your needs. Curing Time: As noted above, if you do not have the patience, LED is the better option since it cures faster compared to UV. Pick a nail lamp that will cure your nails without the need to wait for a long time. Size: The right size will depend on the size of your hand and feet. If you have a large hand, try to focus on products with a bigger space so that your hand will easily fit in. There are some models that are large enough to cure two hands at a time. Timer: It will also be good if the nail lamp comes with multiple time settings so that you can choose which is suitable for your nail polish. Most will have settings of up to four timers ranging from 30 to 120 seconds. Versatility: By being versatile, this means that the nail lamp must be able to cure not only your fingernails, but also your toenails. Reviews: Before you decide which to buy, it will also be good if you can take time to read reviews from other people. Go online and search for feedbacks about a specific product, especially about its effectiveness and comfort. You can use the real-life experiences of other people to help you narrow down the possibilities in the market. Warranty: In the case of most products, the manufacturer offers a warranty that lasts for one year. There are some with longer warranty coverage, which is better. Nonetheless, be sure to follow the terms specified by the manufacturer so that the warranty will not end up being voided. In sum, whether it is LED, UV, or a combination nail lamp that you choose, it will work in drying and curing your gel nail polish. The speed and the outcomes, however, will depend on the quality of the product that you will choose. That being said, you should exert effort to differentiate the possibilities to make a decision that you will not regret.